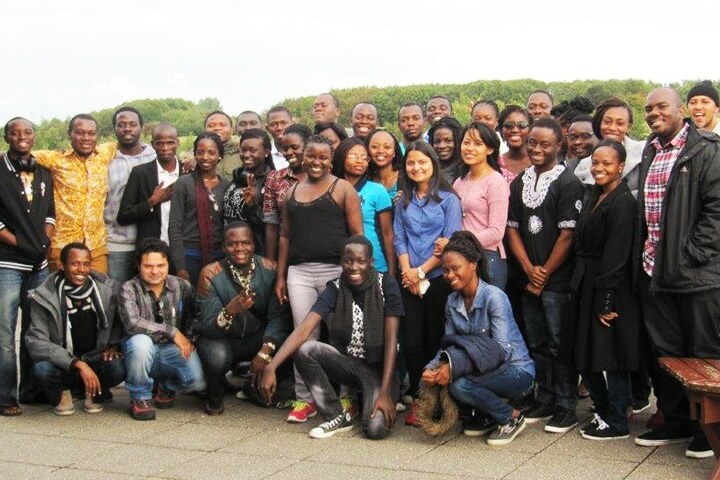 From 2013 to 2017, 74 talented students from universities in Kenya, Tanzania, Uganda, Ghana and Nepal, completed their master studies in Denmark and the overall result was excellent. The BSU masters group was quite simply a bunch of highly talented, diligent students and they completed their course in the best possible way. Each of them focused on important development issues in their final thesis, says Lene C. Mosegaard, the programme manager. The number of applicants far exceeded the number of BSU/Danida scholarships. There were more than 300 applicants but only 38 scholarships were awarded in the second intake in 2015. Half of the awarded scholarship holders came from Ghana, and 45 % of the scholarships holders were women. Former Minister of Development Cooperation, Christian Friis Bach initiated the BSU Master Scholarship programme. One of his arguments for the programme was that it was of mutual benefit to Denmark and Denmark’s partner countries in the global South. - Many students do not get the education they dream of. We can offer some of these students the opportunity to come to Denmark, so that they after their studies can return home and help build up their own communities. - The network they develop will be beneficial for Danish companies. Many of these countries have big growth rates. Ghana, for example, has an annual growth rate of 15 per cent. -It is no coincidence that countries like the UK, USA and Germany provide a significant number of scholarships to global talent. This gives their companies access to talented students from all over the world, leading to much needed innovations and the opening up of new markets. These are some of the comments that Christian Friis Bach made in the Danish newspaper, Jyllands-Posten, September 3rd, 2012. - About 70 % of the BSU graduates returned home immediately after their studies and many resumed their previous jobs or found new jobs within their field of study. - About 20 – 30 % had no job to return to (most of these students were from Ghana). As a result, they applied for jobs, PhDs or master studies in Denmark or in other countries such as Finland, Turkey, USA and Australia, and some of them have been successful. - Many said that it was difficult to establish real contact with Danish students, whereas is was much easier with other international students. - Most of the graduates found it difficult to make contact with Danish companies and organisations, either because internships were not part of their study programmes, or because it turned out to be difficult for the students to find internship positions (only 8 succeeded in finding an internship). These survey results match Lene Mosegaard’s own experience of the Master programme. She thinks that after only 4 years it ended too soon. It always takes time to develop a new programme with many stakeholders and to make the necessary adjustments based on the lessons learnt from the experience made along the way. In the first years of the BSU Master Programme, there was much focus on improving admission criteria and procedures, and securing ownership of the BSU affiliated universities in the South. When the first group had graduated, it became apparent that new tools were needed to help the students network with Danish students and companies. These new tools could have helped the students create new and innovative jobs in their home countries, but, unfortunately, the programme ended, before such tools were fully developed and in place. The Danida Alumni Network was launched in 2016 to promote cooperation among present and former Danida fellows and Danish stakeholders. Among the more than 20,000 Danida alumni that have received a Danida fellowship since the 1960s about 2,000 have now registered at the Danida Alumni Network portal. The newly established Danida Alumni Network was one of the tools set up to establish a network of relevant companies and organisations interested in contacting the BSU students for current (e.g. through internships) or future collaboration. Graduates’ need of job, particularly in Africa, was also on the agenda at the annual Donor Harmonisation Group’s meeting in Stockholm about higher education earlier this year. Germany, Sweden, France and Holland are increasing the number of scholarships they grant to young talent and they focus on how to foster entrepreneurship and innovation in the South as part of, or as a supplement to, their courses in collaboration with companies. In Germany, they are looking for alternative funding in terms of business angles, EU and the World Bank to support start-ups and business plan competitions. To ensure the necessary academic level, the scholarship programme was anchored in the Building Stronger Universities (BSU) initiative supported by the Danish Ministry of Foreign Affairs. See more here.